After the previous episode’s dramatic climax, Deathstroke escapes in the Batmobile . He takes Alfred hostage in the Batcave and Batman must face him alone. Meanwhile, Harvey Dent reveals his true nature as Two-Face and attempts to kill his old ally Anarky. Directly following on from the ending of Twist, Alone sees Batman and Deathstroke having survived the helicopter crash. Deathstroke exists while Batman and Katana recover from the ordeal of the previous episode. From this point on the episode sort of works and sort of doesn’t. On the one hand, you have the great battle between Deathstroke and Batman for control of the city, on the other you have Dent betraying Anarky. The fact these two events are going on at the same time makes this unnecessarily complicated. The writers obviously have to get Dent out of the picture now he is of no further use to the Deathstroke/Batman plot but they do it in the clumsiest way possible. Dent just shoots at Anarky then runs off. We don’t even see him as Two Face because he keeps the bandages on for the whole story. Surely Dent could have had a better exit than just having him wander off? Obviously this episode was made in mind that the show would get a second series (unlikely now) but even so it seems an odd place to leave one of The Dark Knight’s most well-known foes. The main plot featuring Batman and Deathstroke is good enough one as we see the two sides battle one another to win the soul of Gotham. We also get to see a return of Man Bat and Metamorpho which adds some nice extra juice to the conclusion. The trouble is that, because Deathstroke knows that Bruce Wayne is Batman the heroes have to somehow stop Deathstroke from telling everyone the truth. Why anyone would believe Deathstroke, seeing as the world thinks Bruce Wayne is dead, is a mystery. The actual way they get out of it though is a cop out. Using Metamorpho’s ability to create any type of element (not previously mentioned in the series) they wipe Deathstroke’s mind. Now while it isn’t as bad as killing him, it does seem a bit out of character for Batman to agree to this. While the character has to owe his existence to it being okay to have a moral grey area, the character has never been in favour of wiping the minds of his villains. In 2004’s Identity Crisis, Batman argues against the mind wipe of villain Doctor Light after he rapes one of the League’s wives. The Dark Knight said that by using a mindwipe that they were simply taking the easy route, not properly sorting the situation out and being as bad as the villains they were meant to fight. Here he seems pretty okay with it. While you could argue that due to his location within a moral grey area that this Batman might be more liberal with his morality than the character seen in the comics but that then brings up why hasn’t this Batman killed? A better solution would have been probably found if the episode had been longer. 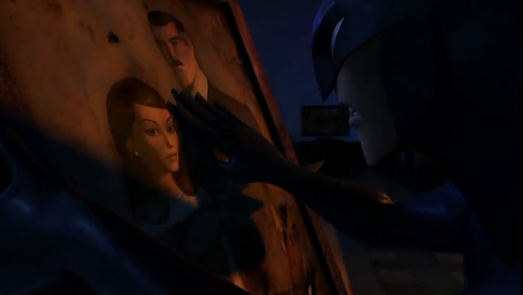 Beware The Batman was an uneven series. It had its ups and it had its downs but overall it was an entertaining and enjoyable series. I really hope Cartoon Network rethink their decision about the show as for all its faults it a gives a unique look at one of comic’s most famous characters.